Lillian Elizabeth Corbin, eighth child of James & Margaret, was born in 1882 after the family had moved into their Glebe Rd house. She did some of her schooling next door at Miss Harpur's School. 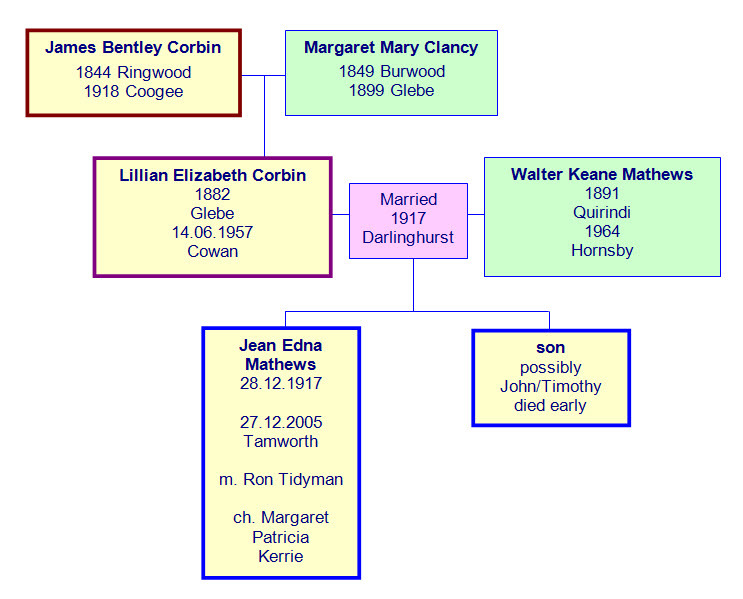 All of James & Margaret's children were baptised Catholics, including Lillian, but she later joined the Church of England, partly due, it is thought, to the regard she had for her father, who was also C of E.
In 1917, in her mid 30s, Lillian married Walter Mathews. Walter was a station master on the railways, and as such they had to change location from time to time, they lived at many country and, later, city locations. 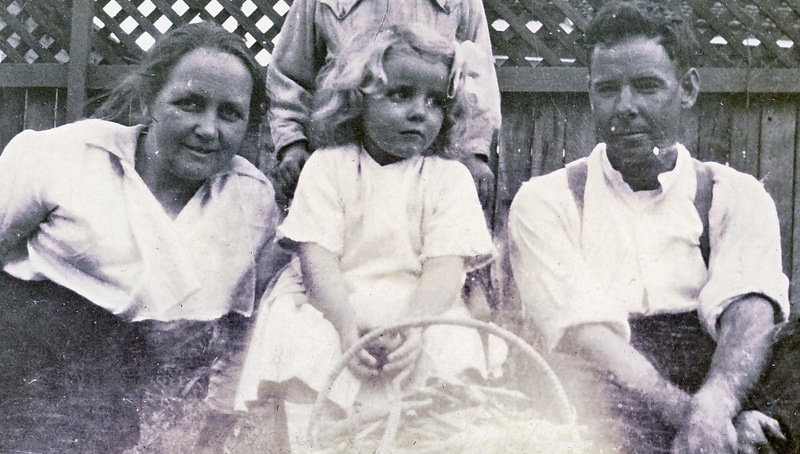 They had one child, Jean, who was born in December 1917. One assumes the new baby was shown to her grandfather James, who died the following March - if so, when Jean died in 2005 it broke the last living link with James Bentley Corbin. Lillian died on 14 June 1957 aged 72. At the time they were living at Cowan. 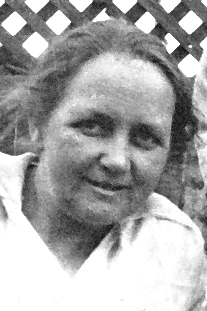 Husband Walter died in 1964. He is still remembered fondly by his family. The only child, Jean, had 3 daughters and died in 2005 aged 87. Lillian's family has made a valuable contribution to the Corbin story by passing on what memories have survived of Lillian's life at Glebe Rd and giving us some sense of personal connection with James & Margaret, 'Mother & Father Corbin'.